There’s a lot of things you never thought about when planning to travel indefinitely and without a home base instead of going on a three-week vacation. This post is about how we prepared for long term travel. Other travelers might take different things or go to different places and the “blogroll” in the sidebar of our home page has links to some excellent travel blogs that describe how they prepared. But for us, the first step for planning long term travel was making an honest assessment of our travel style and resources. TRAVEL STYLE: First of all neither of us has children. This is a choice we both made individually long before we even met each other. And while that helps save money and leaves us without family connections to cling to, we also know many itinerant travelers that do have families and still travel extensively. Secondly, we recognized that we’re independent budget travelers. We’re not basic backpackers pinching pennies and staying in dormitory style hostels nor are we luxury vacationers staying in resorts or taking guided tours. We plan our own itineraries and we’re comfortable in funky, cheap hotels, road houses or jungle camps so long as they’re clean. We like to mix with the local community wherever we are, eating in markets and local places, cooking our own food when we can. We also recognized that we like different things; Sonia likes the wonders of art and human achievement while I’m more interested in the wild side of things; exploring the canyons, mountains, jungles and deserts. But these things aren’t exclusive of each other; I like rambling around museums and galleries too and Sonia thrills to the wilderness that you only find in the outback. Both of us like good food and we’re both accomplished cooks. We knew from previous travels that we would need to move slowly to avoid burning out from constantly moving from place to place and to thoroughly immerse in the culture wherever we are. Moving slowly also conserves travel expenses, one of the highest costs for a budget traveler, and you can negotiate better rates in hotels and road houses when staying more than a night or two. We considered traveling by car or even a van, at least to South America, but having a car is a double-edged sword. On the one hand it’s convenient; allowing you to access areas difficult to reach by public transportation. It’s a quicker way to get around and could save you money if you camped in it. On the other hand, you’re tied to it; always looking for secure parking and safe places to store it if taking a tour or trek. And, public transportation in Latin America will get you to most places cheaply. A vehicle is expensive considering gas, insurance, import fees, and in the case of South America, shipping costs to get it from Central America to South America (no road link between Central and South America). In the end we decided to travel as light as possible, without a vehicle, and with only our carry on size backpacks. If we decide we need a car for a special trip we’ll rent one (although that too is very expensive in Latin America). BUDGET: After honestly assessing our travel style we developed a budget for our journeys based on extensive research of the costs for each country we intend to visit. There are a lot of resources out there to get information and we found sites like Wikitravel, the Thorn Tree Forum, expat sites for different countries, and meeting people that have traveled where we are going to be the most helpful. We planned a budget of $3,000 usd per month to cover in-country costs like food, housing and local transportation. This would be more than adequate for low-cost destinations like most of Latin America, India or Southeast Asia, but it would be very tight for high-cost areas like Western Europe. There are a lot of costs to cover in addition to in-country costs. First of we had to get there and flying is the most practical, and usually the most inexpensive way of getting from continent to continent. Then there are things like travel health insurance, vaccinations, visas and entry fees, storage costs, and other expenses. For us, all of this added up to about $8,000 usd which would come from savings we had been putting away. And finally, we knew we should have an emergency fund in reserve which would come from our retirement savings if necessary. MONEY MANAGEMENT: We have found that a combination of credit cards, debit cards and cash are the best and most secure way for us to go. But, we are very strict in how we use each of these methods. NOTE: THIS IS IMPORTANT! Most banks automatically include overdraft protection on your checking account. This works by linking your checking account to your savings, investment or retirement accounts so that if you overdraw your checking account the outstanding balance is automatically withdrawn from the account that your checking is linked to. While this may be convenient for your bank, it’s a major security risk for long term travelers since anyone accessing your account can withdraw not only what is in your checking account, but tap into your savings or investments as well. You should be sure that overdraft protection IS REMOVED from your checking account before you travel. Credit Cards: We use a credit card only for major expenses at reputable establishments like major hotel chains, car rental agencies or upscale restaurants. Credit cards have the advantage of being able to dispute charges (which we’ve had to do occasionally). And, you can earn rewards points for flights, hotels, and other valuable services. We chose the Chase Sapphire rewards card which has an annual fee of $95, but provides a wide range of rewards and a travel booking service. Debit Cards: We use our debit cards only for withdrawing cash from ATMs and maintain only our monthly travel allowance of $3,000 in this account (with automatic overdraft protection removed – see NOTE above). We’re careful to withdraw money only from secure ATMs in major banks and never in places like convenience stores, gas stations or the like. We use Charles Schwab Bank which not only pays for foreign ATM charges, but does not charge any conversion fees either. NOTE: ATM fees: Foreign ATMs usually charge a fee between $3 to $8 per transaction and they can add up. One way to reduce this cost is withdrawing the maximum amount allowed, but better yet is using a bank that absorbs these fees for you. Conversion fees: Conversion fees are charges by your bank to convert foreign currency into dollars and at 1% to 3% per transaction these can add up even more than ATM fees. Some banks will reimburse you for foreign ATM fees, but very few don’t charge conversion fees. Charles Schwab Bank is the only banking institution we’ve found that charges no conversion fees and also reimburses all foreign ATM fees. Cash: Our day-to-day expenses we pay in cash in the currency of the country we are in. We get cash from ATMs as described above and never from money exchange brokerages or directly from banks (which tend to charge service fees and give poor exchange rates). Paying in cash is more secure since we aren’t spreading our debit or credit card numbers around and avoids vendors trying to convert native currency into dollars, usually with a hidden cost included (this is called “dynamic conversion” and you should never accept it). Also, many rural or remote areas, or small businesses anywhere in Latin America, are a cash economy and we’ve been many places where there are no banks or ATMs and local vendors don’t accept credit cards. Of course always notify your banks when traveling to foreign countries or you may find your accounts frozen when foreign charges start showing up (yep, this has happened to us too). Most banks now have a foreign travel notification available on their websites which makes it easier for long-term travelers moving from country to country to keep your travel notifications current with your accounts. Money Security: To reduce how often we access our bank accounts online we set up automatic transfers of our monthly travel budget ($3,000 usd) into our travel checking account so that our travel account is automatically re-charged on the first of every month. Still, we have to use the internet occasionally to manipulate our banking accounts, but we’re careful where we do that. We never do sensitive work online in WiFi hotspots like cafes or other public places. We do online banking business only where we feel secure like in hotels and even then early in the morning. We carry our credit and debit cards in RFID-protected wallets to avoid having our credit card information skimmed (we’ve met people that have had this happen to them). Cyber Security: Our tablet computer is password protected, but even so we don’t keep sensitive files on it. We keep sensitive information like passwords, personal information, copies of our passports and driver’s licenses on a memory stick which is far easier to hide. As an added security measure I reset the “recently viewed documents” setting on Excel and Word to zero so that no documents show when you open these applications (it wouldn’t do much good to hide our sensitive files on a memory stick only to have them appear in our “recently viewed documents”). We don’t use the “keep me signed in” feature for any of our sensitive websites; we log in and log off every time. I was surprised to find out how many computer savvy people just stay logged in to their banking or other websites. This is a major security risk. The computer itself we store in a 15 liter Pacsafe security backpack which has an internal web of steel mesh imbedded in it and can be locked and secured by a cable to an immovable object (more about this in our Packing for Long Term Travel post in our Tips & Traveling section). Physical Security: We take risks, but reasonable ones. I like to swim at remote beaches, hike into the outback and explore the neighborhoods in the cities we visit, but we ask around first before we do those things. We eat in local markets and from street vendors and like to share a beer in local bars, but we choose the vendors carefully and avoid sketchy bars and neighborhoods. We ask around locally wherever we are about safety considerations and when necessary will travel only during daylight hours. We try to carry only the amount of cash we’ll need for the day and keep our wallets in our front pockets with our hands on it when in crowded places. 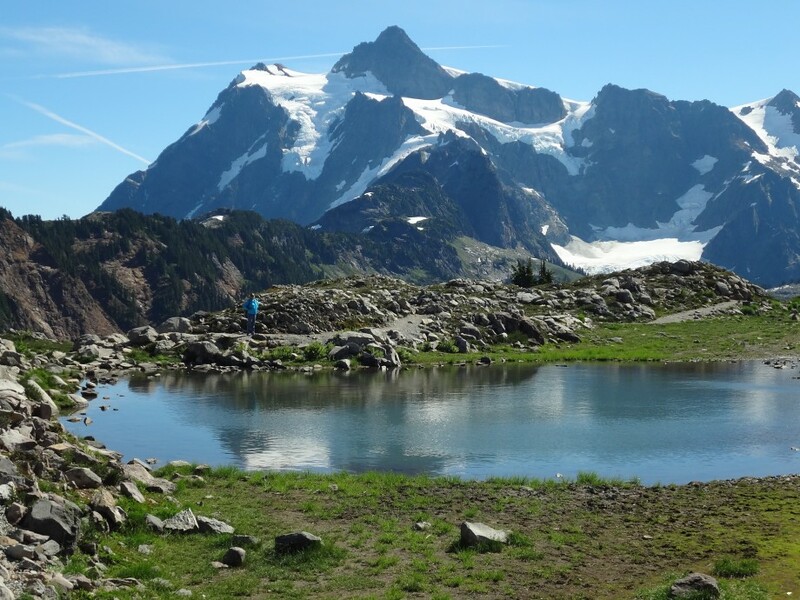 After decades of backpacking in the wilderness of the Pacific Northwest of America I’ve developed a stomach of iron, drinking water directly from streams and ice fields. But for foreign travel we buy bottled water and take a compact, battery-powered water purifier which kills microscopic organisms with ultra-violet light and attaches to my water bottle. Overall, we go with our gut and stay aware. If something doesn’t seem right, it probably isn’t, and we’ve learned to trust that little voice in the back of our heads. TRAVEL HEALTH INSURANCE: To buy health insurance or not; that is the question. Knowing that medical care in Latin America is pretty affordable by American standards we considered not buying travel health insurance at all and just keep an emergency fund available instead. But the more we investigated we realized there are benefits to buying travelers’ health insurance. We found many companies offering travelers’ health insurance, and your own health care provider may have some travel plans worth checking out, but we found that most of these are just too expensive. Other providers only offer limited-care plans, or plans for short periods of time. Some have trip cancellation, emergency evacuation, or even coverage for your electronic devices. All the travel insurance plans that we found had some things in common. They were all major medical plans. That is, they cover major medical problems like emergency care or contracting a serious illness while traveling, but not doctor visits, medical screening, vaccinations, dental work, etc. They don’t cover pre-existing conditions and they are all reimbursement plans; that is, you pay all medical costs up front and out-of-pocket and later apply to the health insurance plan to be reimbursed. That means you still need to have funds available to cover medical costs. Also, you need to save every receipt for every fee you pay or you won’t be reimbursed. – $100,000 for major medical services including hospital stays, drugs, and specialists. to your country or origin). reimburses you for any travel costs lost due to circumstances beyond your control. – Equipment Loss: This coverage includes loss or damage to your electronic equipment including theft. – We found their customer service to be responsive and easily accessible. STORAGE: If you’re going to travel long term, you’re going to have to deal with all your “stuff.” That means one of two things; either store it, or sell it or give it away. This is a hard step for most people and we were no exception. Our experience in “dematerializing”, as a friend of ours calls it, can be summed up in two words, . . . Be Ruthless. Still, no matter how ruthless you are, most of us have some mementos, family heirlooms, important records, or other valuable things that we’ll need to store somewhere. Many travelers have family or friends where they can store things for free which would be the best way to go. Others dispose of everything, converting any important information to digital files. In our case we had no family in Seattle or friends with available storage, so we were ruthless and sold as much as we could on Craigslist. We gave away or threw away the rest. Still, we had valuable musical instruments, irreplaceable family mementos, books and files we wanted to store. Also, we eventually plan to reinvest in a house somewhere and had expensive furniture worth keeping. So, we decided on paying for commercial storage space. We found that the things to look for in a commercial storage space include; long term cost, security, access, climate control and cubic footage of the storage unit. Cost: Monthly rental costs don’t vary that much between storage facilities, but the quality of the facilities does. Also, we found that most storage facilities offer long-term discounts if you pay up to a year of storage fees in advance. Typically, the smallest units available are 5, x 5, units at about $50/month. In our case we chose a 5, x 10’ storage unit at $75/month, but since we paid a year in advance, we got it for $742 for twelve months. Cubic Footage: While storage facilities advertise storage space based on square footage (5’ x 5’ the smallest); these units are usually tall inside, up to ten or eleven feet high, and some storage facilities allow you to install shelves in them. That allows you to store a lot of stuff in a small area. Since we had some bulky items to store (leather sofas and other furniture) we chose a 5’ x 10’ unit, but it had an eleven-foot high ceiling. That’s over 500 cubic feet of storage area and for a $100 for some lumber I built shelving inside and we packed it full with enough furniture to furnish a small house in addition to our other valuables. Climate Control: Actually, just temperature controlled, we selected a facility that maintains the storage units at 55 degrees F. This was important to us since I was storing some valuable musical instruments and some sensitive electronics. Access and Security: We chose a unit with 24-hour access within a gated storage facility with video surveillance and that requires a password code to enter the general area. Our specific storage unit is secured with a keyed lock on a steel door. As a bonus, the storage facility we chose has a moving truck that customers can use for free. MAIL & PERMANENT ADDRESS: Even after selling our house and hitting the road we still receive some postal mail. Also, it is desirable to have a street address for banks, Internal Revenue and for buying travel insurance (which bases coverage on your home address). Fortunately, there are a lot of virtual mail handling services out there. Unfortunately, most of them are expensive. They work by providing a street address where you receive your mail. They scan your mail and post it in a “virtual mailbox” which you can access on the internet from anywhere. Then you can instruct the service to forward the mail to you or destroy it. If you receive checks in the mail, you can request them deposit them for you (at an additional cost). Most include a package receiving and forwarding service too, so you could shop online and have your purchases sent to you wherever you are (also at an additional cost). Based on our research and reviews we chose Traveling Mailbox from which we received a discount by subscribing for a year. We pay $199/year and have already received critical mail there while on the road including refund checks from our mortgage and insurance companies. We debated long and hard about how to best stay in communication with family and friends; what kind of computer to take (or if we needed one at all), cameras, cellular phones, etc. The more we investigated it, the more complicated it all seemed especially to electronics idiots like ourselves. Computers: I bought a Microsoft Surface 3 tablet computer (not to be confused with a Surface Pro 3). It was expensive at $750 (including the keyboard cover and case) and I struggled for weeks trying to learn Windows 10 (still struggling actually), but it is small and compact with enough capacity to store thousands of photos and it has the applications I need to maintain this blog (Word and File Manager) and to store some important information (Excel). Sonia uses a Firefox tablet which we got on sale from Amazon.com for $100 and from which we can make skype phone calls and surf the internet. We can upload movies from Netflix or HBO on either machine or listen to music from our private collection that we have in the cloud storage provided with Windows 10 system. We can upload digital books to read or navigation applications to help us find our way. We even bought a super-compact, wireless Bluetooth travel speaker that we can use to enhance the sound of the movies and music we like. Communications: There are international phone plans, disposable cell phones, prepaid SIM cards, and all sorts of combinations to link your smart phone to local service providers. But none of these are cheap and some so complicated we barely understood them. We found that using skype for free from either Sonia’s tablet or my Surface 3 works just fine for staying in touch with family and friends. The hotels, bungalows or road houses we end up staying in usually have land line telephones for local calls. Of course there’s always e-mail too. So, we cancelled our Sprint phone plan and now rely on skyping, e-mail and local phone service to stay in touch. So far this has worked fine. Photography: I’ve found a camera is a far better tool for taking photos than a tablet or cell phone but I’m no camera expert and the information about them is contradictory and confusing. Then,while researching digital cameras, we came across a professional photographer that gave us the best advice saying that the best camera is the one you will use. Sounds patronizingly obvious, but what he meant is the most sophisticated photography equipment in the world won’t be useful if you don’t have it with you. This made sense to us and for $250 we chose a pocket-size, Sony Cybershot, point-and-shoot digital camera. With only an 8X zoom its limited, but it’s durable, takes HD video, stores hundreds of photos, and the battery lasts for many hours. Since it fits into my shirt or pants pocket we always have it with us and most of the photos and videos in this blog were taken with it. CLOTHES & PERSONAL GEAR: We learned long ago to travel light – very light. We found that we just don’t need much stuff and if we do pack too much then we start losing things – too much to keep up with. The key to traveling light is investing in high-quality packs and quick drying, durable and compactible clothes and nowadays there’s a lot available. We’ve found you can’t go cheap on this stuff or it just won’t last and we spent about $2,000 on our packs, clothes, footwear and personal gear. Why we took what we took, what it cost, and what specifically we packed is described in the post, Packing for Long Term Travel in our Tips & Traveling section. Packing light for South America presented us a special challenge since we would be experiencing every kind of environment from sweltering jungles to freezing mountains. Sonia uses a carry-on size pack with hide-away shoulder straps, a detachable day pack, and equipped with compact wheels so it can be used as pull-behind luggage. I use a carry-on size pack and a separate lockable day pack where we store our tablet computer and some outdoors gear. My pack can double as a trekking pack in a pinch and the lockable day pack has in internal web of steel mesh and can be secured with a cable to an immovable object to provide some protection against theft. As for clothes; bulk more than weight is the key here, so no thick cotton shirts or bulky jeans. We wear quick-dry but durable synthetic pants than can convert to shorts by zipping off the legs. We use long and short sleeve shirts made of durable fibers like hemp or synthetics. We like Smartwool socks and carry Gortex raincoats. Our underwear, normal and thermal, is quick-dry synthetic that we can wash out in hotel showers and sinks. I did find some lightweight, durable cotton T-shirts that pack well (Armani T-shirts from Macy’s). Finally, we found some super-compactable goose down coats on sale that we’ll need in the Andes. Most of this stuff can be used in many locations (it can get cool in the jungle at night or hot in the mountains during the day) and it all fits into our carry-on packs. Finally hats – very important. We each carry a ball cap and a high-quality nylon sombrero and Sonia packs a couple silk or nylon scarves. Most of this stuff is relatively expensive, but durable, so pays itself off in the long run. Don’t go cheap! Shoes are a special problem. They’re bulky and heavy. Normally, a good pair of heavy tennis shoes backed up with a pair of sandals would meet most of our needs. But, we were planning for a variety of activities from multi-day treks into the Andes to beach-bumming along the Caribbean. So, we each packed one pair of lightweight hiking boots (which we wear when flying or riding busses), one pair of tennis shoes, one pair of heavy-duty sandals (Tevas), and one pair of “water socks” (inexpensive waterproof divers’ booties that double as bathroom slippers). Personal gear: Along with compact toothbrushes, deodorants, cosmetics and toiletries, we take a lightweight face towel, headlamps, cotton handkerchiefs (many uses), 50’ of nylon cordage and a medical kit stocked with cloth bandages, ibuprofen, malaria pills and Neosporin (best cure-all I’ve found). We each carry our personal kits in durable, compact travel bags equipped with hooks for hanging in small or shared bathrooms. We have around-the-neck pouches for carrying passports and some cash which we can wear inside our clothes, but usually use smaller shoulder-carry pouches that store both our dark and reading glasses and some cash. We packed a few special-use items that most others may not take like a compact mask and snorkel each, a small immersible water heater, and a steel backpacking mug equipped with a French press screen (gotta have that coffee in the morning and restaurants open late in Latin America). SUMMARY: That’s the major stuff. For detailed descriptions of what this all cost, why we took what we did, and how we packed it all, see our post Packing for Long Term Travel in our Tips & Traveling section. If you have questions after that, feel free to contact us as described in our Contact Us section. Other than that, Buen Viaje! I already have a re-blog scheduled for today for my August Daily Promote my blogger friend’s blogs commitment… however, I bumped into this excellent article and I honestly do not believe in accidents. It’s a sign! Thanks Namaste – yes, the article is long and I considered editing it, but couldn’t figure out how without losing vital information. Thanks for the follow. We don’t have specific information for women’s safety, but we’ve run into a number of travel blogs by single women traveling around the world that do. Try Adventurous Kate. Best wishes for you both!! I look forward to hearing of your travels. Check out our posts in Trip Reports for details of our current travels. Thanks Kara. Next post will be about packing, specifically packing light for long term travel. It ain’t easy. Love reading the blog. Will enjoy following your travels. Be safe and love your travels. We’re planning out the details for the next move, South America, now.